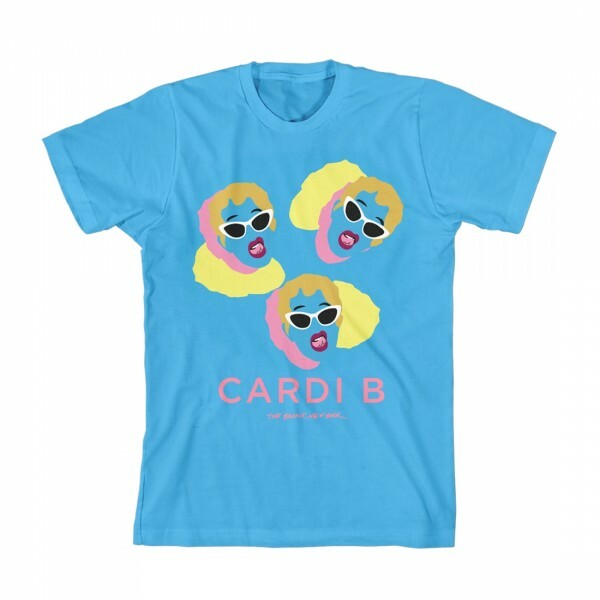 This teal t-Shirt features a pop art design of Cardi's face from the Invasion of Privacy album cover. At the bottom of the t-shirt, 'Cardi B' is printed in baby pink. 'The Bronx, New York' is printed below that in baby pink as well. 100% cotton. Unisex fit.